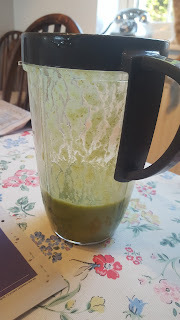 Smile with each new day : NutriBullet - money to extract or retract? 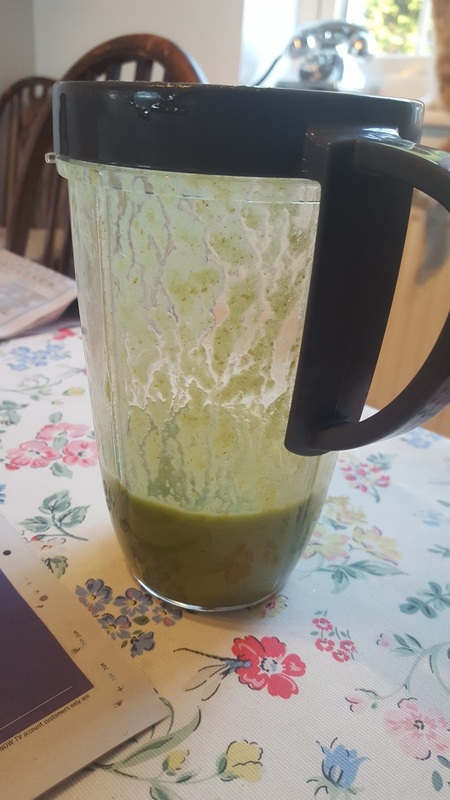 NutriBullet - money to extract or retract? 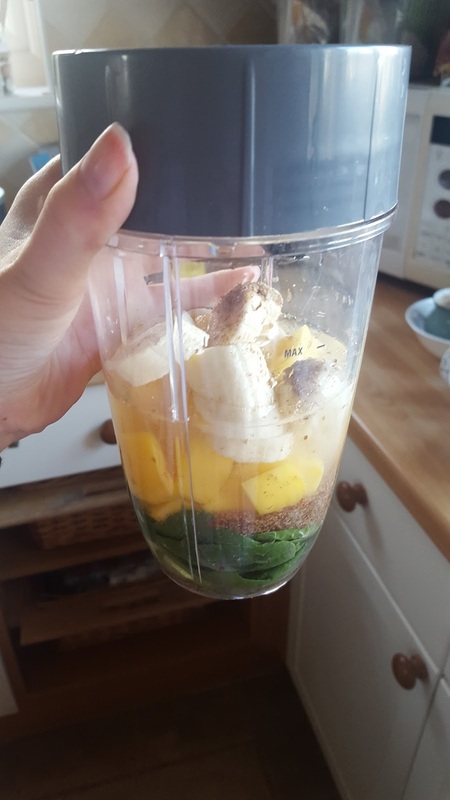 Of recent I decided to ask for a slightly unusual Christmas gift, (but still love all my other presents from different family members and friends), which yes you have guessed to be that of a NutriBullet. I would just like to make it clear before you read any further, that I am not a dietitian or a nutritionist myself but am giving you honest feedback about my user experience of the NutriBullet so far. Why did I actually ask for this? One - to be honest because I had been thinking about buying one for the last 2 years so it was hardly an impulse buying thing. Two - I think sometimes the majority of us struggle a bit to get all the nutrients we should be receiving in one day even if we're close, so if you can start your day off with a fair few, you're closer rather than further away from receiving all the minerals and vitamins your body requires to function effectively. Three - yes I am trying to lose a bit of weight and am going to utilise this in day to day life as part of an on-going plan (not a yo yo dieter). What does the NutriBullet actually do and what sets it apart from other juicers/blenders? The NutriBullet prides itself on the 600 watt motor and its bullet cyclonic action, which sets this piece of equipment apart from your typical juicers and blenders. Add the turbo extractor blades which run at 20,000 RPM and it's a game changer for your daily requirements as it can crack open seeds and nuts, pulverise pulp, crush ice quickly, and makes eating several veggies not a large chore in one go. Is a NutriBullet easy to use? Most definitely yes! Everything you need besides the ingredients are in the box so you make a recipe the day of your purchase with relevant ingredients you have in the house. 1. Plug in your NutriBullet to the power socket (but do not turn on). 2. Take your short or tall cup and pop in the given fruits/greens/nuts and seeds noted for your recipe or adapted to your personal taste. 3. Add water or some people like to use almond milk, then fill this between the middle up to the max line depending on how thick/thin you'd prefer your drink to be. 4. Screw the extractor blade lid on the top of your cup and place down into the power base. 5. Power on, then hold the cup down and press it slightly left so that it moves just under the catch and stays processing until you like the consistency and flick it back right to release the cup, bringing it back out of the base to put on your worktop. 6. You can add the lip ring to your holder if you don't mind drinking it straight from the mix or pour it into another cup and maybe add some ice if you fancy. Although I have been using the NutriBullet for just under a week myself I have noticed my nails becoming shinier, some spots had gotten worse before it got better, helps to start your day off with a boost of goodness! 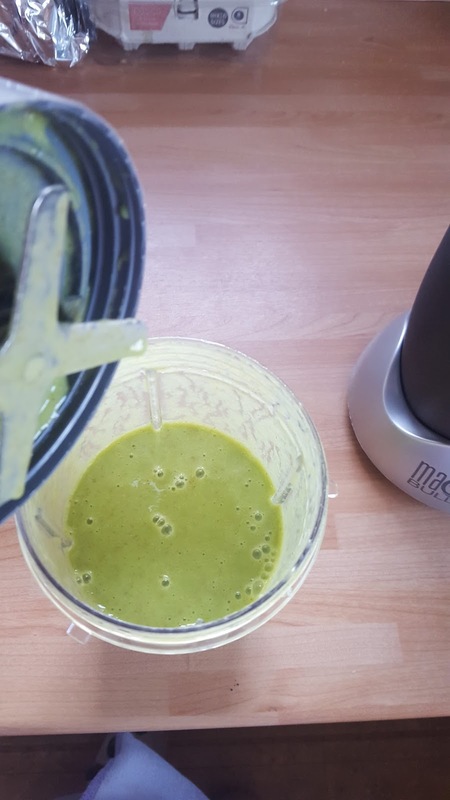 Longer term users of the NutriBullet however have reported: improved sleep, better digestion, higher absorption of nutrients, weight loss results, increased energy and least although not last speedier recovery from workouts.